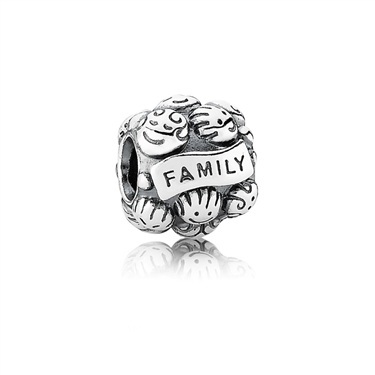 Embrace love and celebrate the unique bond of a family with this sentimental PANDORA charm. Crafted from 925 sterling silver, this charm is inscribed with family and decorated with child-like figures. I bought this for my Wife's birthday from the children. She loved it and is trying to decide which face suits which child! Very well packaged and lovely gift box too, thank you. I was very happy with easily finding the item I wanted. The whole process was quick and easy. Thank you. So happy with my charm.It's for a present.so happy.speedy delivery. Lovely little charm to remind us of the most important things in life!! Really nice charm, was most happy with it. Lovely. But smaller than expected.